If you’re a long-time reader, you have probably read about Randy Kaplan, who collects autographed baseballs. Not just any signed balls, though. Kaplan’s specialty is world leaders. He owns a remarkable collection of heads of state, many of whom are somewhat befuddled by the guy who’s looking to have their signature on a ball. Big countries, small countries, leaders you’ve never heard of…it’s all the same to Kaplan who loves the thrill of the chase. 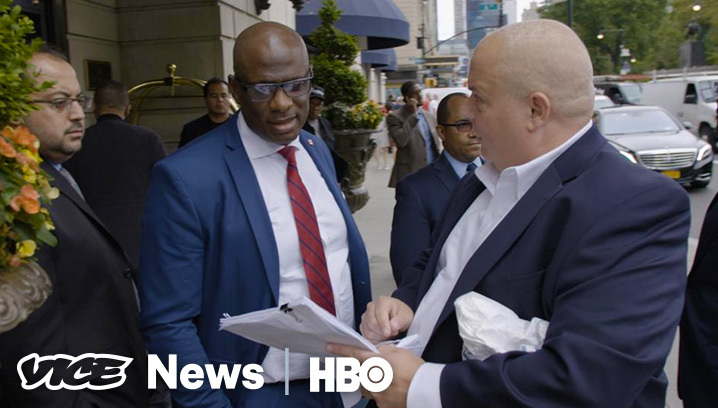 HBO’s Vice News Tonight followed him around for a special feature that ran late last week. Watch below.